This is another of these potluck “I know absolutely nothing about the band or the album” choices that I enjoy from this Educating Omand series, so I’m interested to see what the lucky bag gives me this time. Before I get into the music itself though, I have to say something about the cover art. 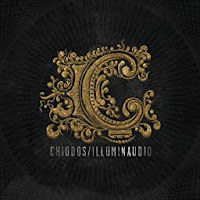 That highly illuminated* C on the cover of Illuminaudio is beautiful and works incredibly well to illustrate the name of the album and to connect to the band, Chiodos. All too often you see cover art, whether for a CD or book or whatever, which may indeed be beautiful in itself but in no way relates to what is within. This one is clever and that bodes well, so let’s see if we can judge this album by its cover. The title track comes first and is short but very sweet. Think of Pink Floyd’s swirly ambient synth under a surprisingly good, if light for rock, voice. Caves comes next and the need for me to make a decision. 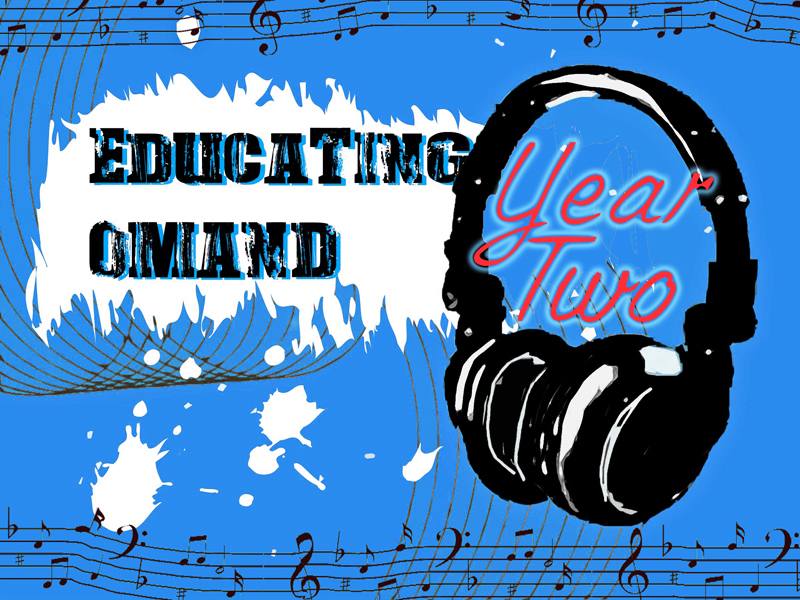 If you’ve read pretty much any of these Educating Omand articles in the past, you’ll know of my aversion to the RAAAAAAR style of singing. There is some of that in this track (and subsequent songs on the album) but I decided that, rather than letting it spoil what is shaping up to be a decent rock song with an interesting multi-layered back and otherwise listenable vocal, I’d ignore the growling. Love is a Cat From Hell is the third track and has a heavier, more driven, backing but it fits very well. There’s surprisingly Spanish sounding guitar mixed through and an excellent falsetto from the singer, so much so that I went looking at this point to see who he was. It turns out that this is Brandon Bolmer, who used to front Yesterdays Rising (whose work I had heard of before). 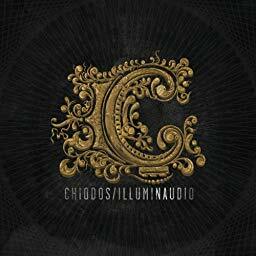 Illuminaudio is Bolmer’s first, and only, album as the singer with Chiodos so I have made a couple of mental notes; firstly to find another Chiodos album with the original singer, just to see what the difference is and, secondly, to follow up on Bolmer’s career with his alter-ego Maskarade. That caught my attention immediately and, the more I listened the more I realised that this song is a retelling of The Phantom of the Opera and it is brilliant! Really showcases Bolmer’s voice and is right up there for me as favourite alongside Scaremonger. Stratovolcano Mouth is probably the most growly of the tracks but it balances out well and the fuzzy guitar under the manipulated voice later in the track is very effective. From growly over-production to a simple piano and strings intro to Those Who Slay Together, Stay Together. This builds in a very satisfactory way to a multi-layered, almost orchestral feeling track which seems to have an almost cinematic storyline all to itself. It’s also interesting to hear the use of a triple time signature in a rock song. The final track on the album is Closed Eyes Still Look Forward and, although much slower than most of the rest of the songs, has a very epic “end of the journey” type feel to it but with such a quiet ending that, if this was actually a film, as the previous track alluded to, it would be open to a sequel as it feels unresolved, but in a good way. There is more to explore. So, yes, a very interesting, very intelligent album and you can consider me educated this time. 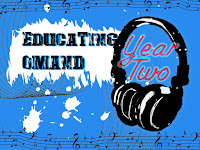 Clever titles entice you into unusual songs that, with the exception for me of Constellations, all have something to commend them artistically and I will follow up on this. I really can’t decide between Scaremonger and Hey Zeus as my favourite though, so you’re getting both, just so that you can see diversity of music that is presented in an exceptional album. * Illuminated in this case doesn’t mean “well lit”, it’s an art term to do with medieval manuscripts and the fancy twirls and patterns done in gold leaf or coloured inks surrounding the enlarged first letter of a page or paragraph to add decoration.